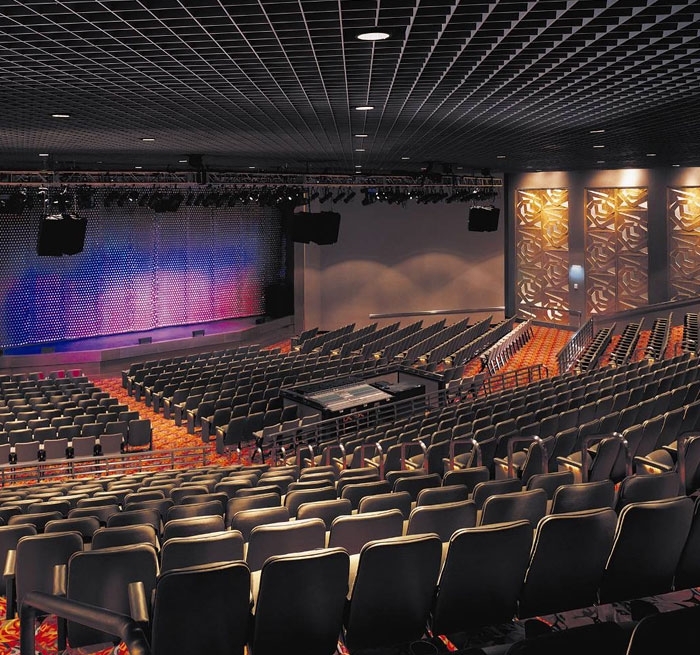 Advising on all aspects of theatre design, including theatrical systems, layout of public spaces, backstage support facilities, seating, audience circulation, and video and communications systems for Borgata’s 30,000-square-foot multi-form Event Center Ballroom, 1,000-seat Music Box Theater, and the MIXX Nightclub, Auerbach Pollock Friedlander was presented with the unique challenge of designing three very different, distinctive venues within one property. 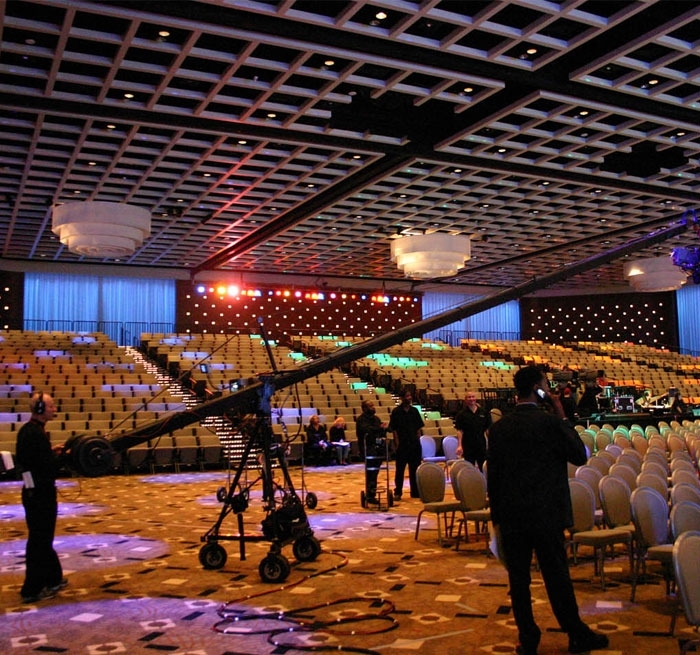 The Event Center Ballroom is a flat floor space that subdivides into four smaller function rooms. The performance sound system was designed to accommodate the various room configurations. The audio-video systems for the fixed-proscenium Music Box Theater which hosts concerts, music reviews and standup comedy in a more intimate setting were designed to provide concert sound reinforcement, production video infrastructure and technical backstage communications, as were the Ballroom systems. Finally, in MIXX, the firm created an audio-video design that allows conversion from a sophisticated restaurant setting into a nightclub with state-of-the-art sound and lighting effects. The club sound and video systems were designed to provide full-range sound playback, as well as video projection with special effects. A karaoke system has also been provided in a separate room within the club.